A patient came in with a severe tooth ache, and after an examination, it was clear that the tooth was severely broken down. The basic options were to either save the tooth – going through root canal therapy and finishing with a post and crown restoration, or to remove the tooth and restore with a dental implant and crown. "Should I save my tooth, or should I pull it?" she asked. This is the eternal question! Root canal therapy (also known as endodontic therapy) is a procedure of treatment for the pulp of a tooth once it has become infected – the inner pulpal material must be removed, in order to protect and decontaminate the tooth from future microbial invasion to the jaw bone. Once a root canal procedure is performed, however, the lack of nutritional supply in the tooth (once the organic tissue is removed from the tooth during the procedure) will render the tooth brittle, the weakened tooth should be reinforced and restored properly, with a post and crown. Regular dental checkups are vital to properly maintain your dental health. If the unhealthy dental condition requires a root canal treatment or an extraction, Dr. Courey will explain the pros and cons of each option, then make an educated decision. If there is a mystery pain, a 3-D image (CBCT scan) is a invaluable for proper diagnosis. Regular dental x-rays are not capable of capturing images of a cracked tooth nor accessory root canals (which are small and difficult to see). These tiny cracks or canal issues can lead to prolonged discomfort, which you may have thought was a figment of your imagination! If the prognosis was poor, or a tooth has broken down so much that it has become unrestorable, extraction and a dental implant might be a more sustainable investment to you dental health. Prevention is always the best treatment! Brush and floss your teeth twice daily and after meals. 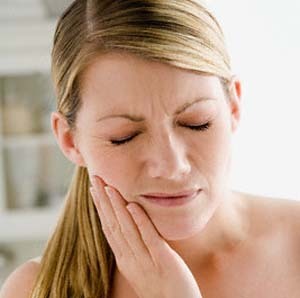 If you have any dental pain, schedule an appointment with Dr. Courey sooner rather than later.